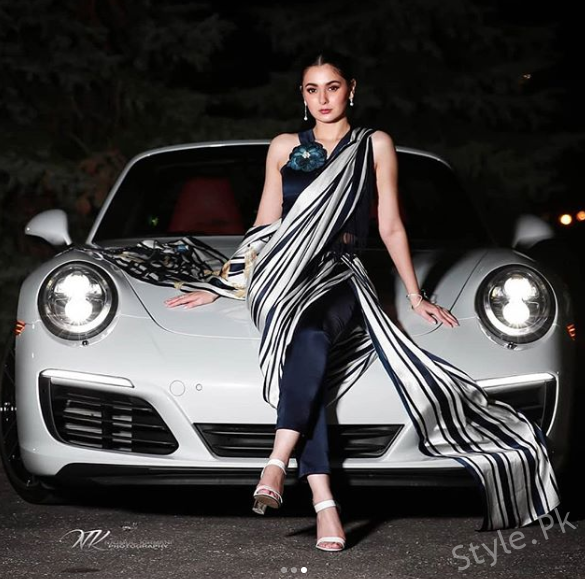 Hania Aamir is renowned Pakistani actress and model. 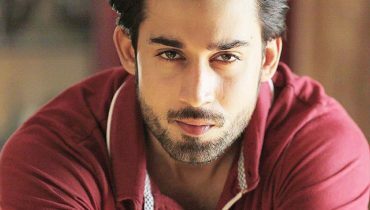 She started her showbiz career with her debut Pakistani movie Janaan. 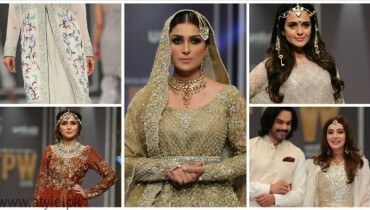 She is a fashion designer by profession. Sheis active since 2015. 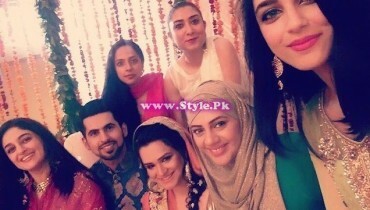 She has worked in dramas like Phr Wohi Mohabbat, Titli, Mujhe Jeene Do, Band Tou Baje Ga, Visaal etc. 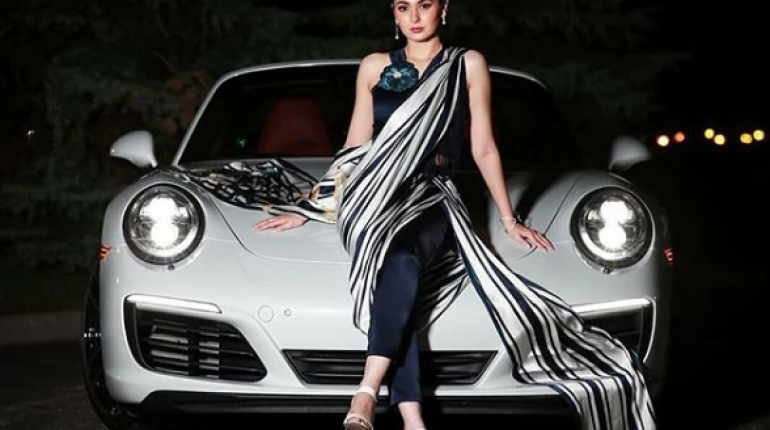 Hania Amir’s Pakistanu movies include Na Maloom Afrad 2, Janaan and Pawaz Hai Junoon. 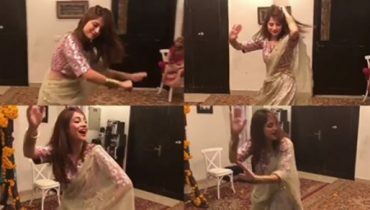 Her appearance in sunsilk ad made her won hearts of people. 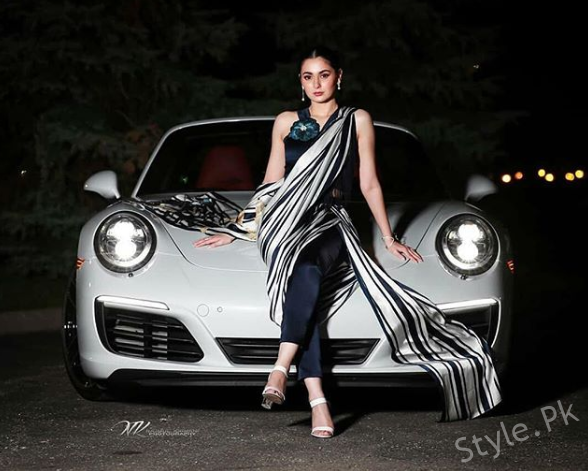 Hania Aamir is Canada to attend an event. She opted Saree Pants for the event. 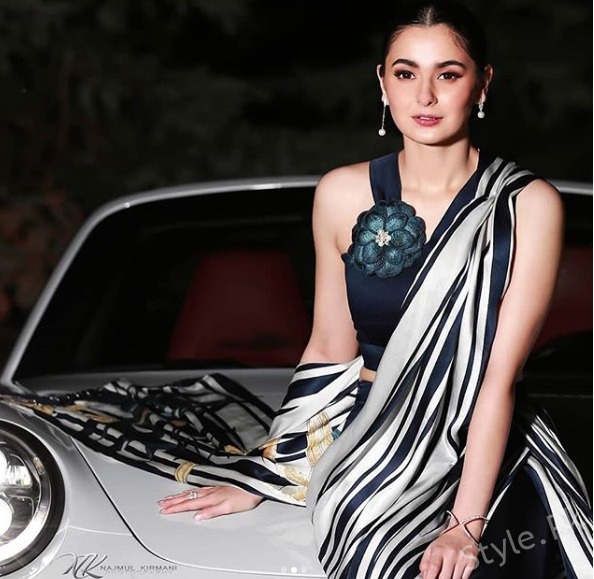 Hania Aamir Looks Stunning in Monochrome Saree Pants. Have a look.